Yesterday one of my best friends called me with news that I never thought could even happen to me...I am Lauren Conrad's "Chic of the Week." I really can not believe it and I'm so honored.. 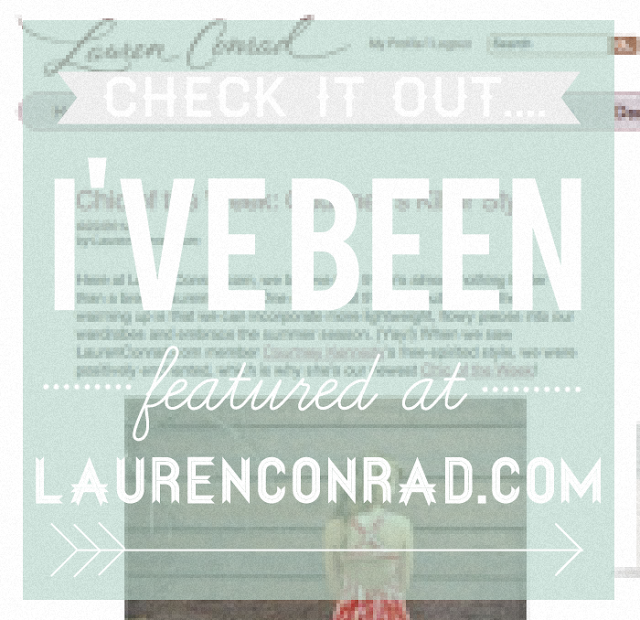 I'm a huge Laguna Beach/The Hills/Lauren Conrad fan and to be featured on her blog is just a dream! Click here to check it out! Come back this afternoon for a new DIY! congrats, that's so exciting! you definitely deserved it, i love your style! she featured my cupcake recipe a few months back and i was so thrilled! !